Waste Tire Amnesty Day on Sat., Dec. 1, 8 and 15 from 7 a.m. to 5 p.m. at the Central Landfill, 6337 Da Lisa Road in Milton. 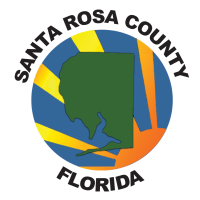 A maximum of eight tires per Santa Rosa County resident will be accepted free of charge with a photo ID as proof of residency. Tires from commercial shops or residents with more than eight tires must pay normal tipping fees. "These tire piles are aesthetically displeasing, act as an excellent breeding ground for mosquitoes, and can potentially fuel dangerous fires," said Ron Hixson, Santa Rosa County environmental manager. "We hope to see a lot of participation from our residents at this event."